Making Special – Page 8 – in which i document my permaculture diploma and ferment change in the kitchen… and beyond. I have to say I am feeling both excited and overwhelmed at the thought of holding my first heatwave planning workshop_this_ weekend. One motivation for my Masters research has been driven by concern that my hometown Adelaide would be in heatwave conditions and have rolling or catastrophic power shortages at the same time. And bang on time – a heatwave blasts the country and power starts getting “managed” across Adelaide. Inevitably this leads to criticisms of sustainable power generation – but very rarely is the heatwave and power conversation broadened to consider the nuances of demand – our own, justifiable air conditioner use, compounded by the multiple televisions, appliances, extra fridges for beer that we take for granted. We blame power generation for not keeping up with demand and are concerned that life support systems, basic infrastructure and traffic lights fail to run, but we don’t engage with our own complicity in peak _demand_. We feel we have the right to keep the power on, but what about our responsibilities ensuring everyone else’s comfort and safety? My gut feeling is that the general population is not yet engaging with heatwaves as emergency situations that affect _everyone_ and which, opinion again, should trigger a heightened awareness of responsibility and corresponding actions. Heatwaves and their increasing threat, demand for electrical power from air conditioning and other services, sustainable power generation and climate change mitigation. It is all a wee bit complicated and interconnected and not something that is going to be _fixed_ in my MSc workshop. But – I am going to host a conversation and work out ways to stay as cool as possible when the power goes out and the thermometer is high. If you are interested in being part of this discussion and are based near Adelaide or in Sydney, there will be two further workshop events as part of my research project. Blue stockings and Hope Armour. This is not the November 9 World I wanted to wake up to. 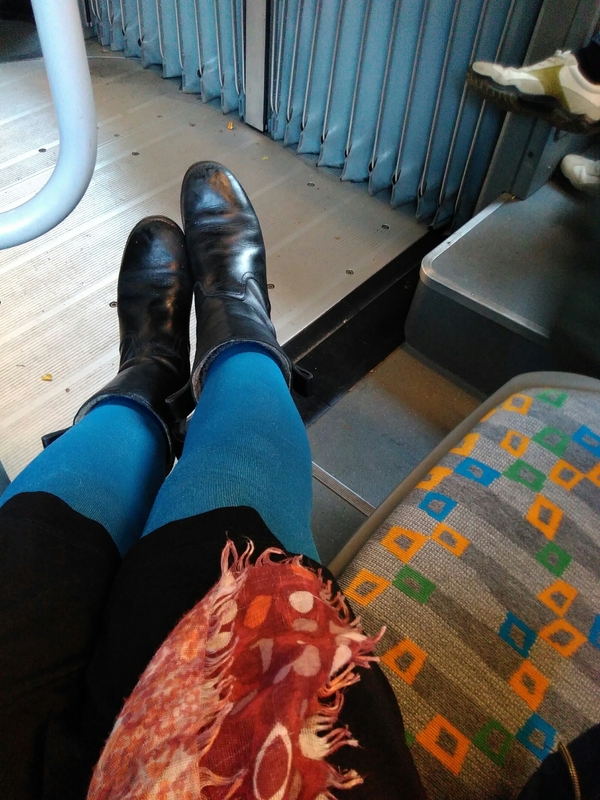 I’m wearing blue stockings in honour of yet another smart woman who lost out to misogyny (amongst other things) and as a symbol of the hope I have for a better world and a system that improves for everyone. Even though we might be driven by anger and disappointment I feel that we must be good and gentle as we go into this fight. We need new kinds of globally regenerative resistance (aka permaculture) and fancy new armour. I thought I’d lost my hope armour. but not always so good for hope. and you can always get existing models upgraded.